5-Speed PU Leather Gear Shift Knob Head Shifter Black & Silver for Manual car. 1x Manual Shift Knob. Remove the original car gear shift knob. Put The gear head into the shift knob. The gear head directly set into the shift knob rod. GEAR SHIFTER SELECTOR SWITCH ASSEMBLY. 2013 HONDA CIVIC. Condition: USE, SCUFFS 12-13 AT Transmission Gear Shifter. 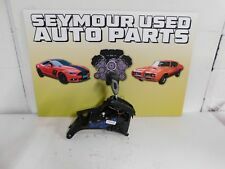 OEM Part Number: sedan. This Part may also fit in these cars. 13CM Carbon fiber Black Car Manual Shift Knob Gear Shift Head Shifter Lever Stick Handle. 1 Remove the original car gear shift knob. 3, Put The gear head into the shift knob. 4, the gear head directly set into the shift knob rod. Genuine OEMHonda Civic Shift Panel. Fit for : 02-15 civic MT. High QualityDIPPED IN CARBON ! Land Rover. Delrin material is impervious to heat and cold. Making it an excellent choice for racing applications and for daily driving in hot and cold climates. The hole extends as deep as possible to give you the lowest possible installed height. Material: cold cast resin. Color : white. Connector Hole Inner Dia.caliber 14.4mm. 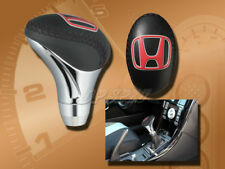 Up for sale is a New Genuine Honda Civic Shift Knob for the 2012-2015 Civic. Not for Si models. We are a Honda new car dealer with over 30 years in the Baltimore Maryland market. We have a large inventory of Genuine Honda Parts! RGB Multi-Color. 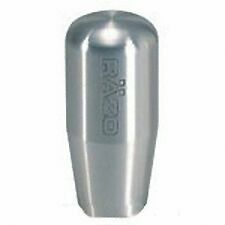 1x Car Gear Shift knob. 1x USB line. No switch needed, when you touch it, it will automatically light on. 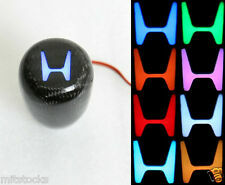 Light Color Fit for all car Manual Transmission (MT) and Automatic Transmission (AT) without lock button. Universal Car Manual Transmission Gear Shift Knob Skull Shifter Lever & Hoses. 1X shift knob. Easy To Install. 1pc Universal Auto Car Gear Shift Knob Shifter Lever r Manual Automatic Transmission fits for circular gear lever. 1x Manual Shift Knob. The shift head directly into the gear lever. Take plastic sleeve for the shift bar size. 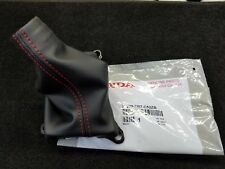 NEW GENUINE HONDA CIVIC SI 6 SPEED MANUAL SHIFT KNOB. RED SHIFT PATTERN ON AN ALUMINUM KNOB WRAPPED IN BLACK LEATHER WITH RED STITCHING. SCREW ON KNOB AS SHOWN. We are a Honda new car dealer with over 30 yearsin the Baltimore Maryland market. Universal Car Manual Transmission Gear Shift Knob Skull Shifter Lever & Hoses. 1X shift knob. Detail Image. Easy To Install. 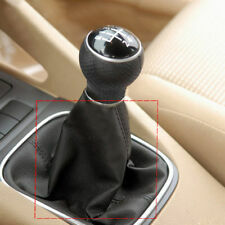 Manual/Automatic Car Leather Gear Stick Shift Knob Cover Handle Shifter Lever. And Not Fit gear knob work on a lift up reverse knob. - Remove the original car gear shift knob. - Put The gear head into the shift knob. Perforated leather with blue stitching. 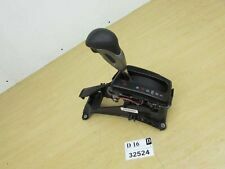 HONDA CIVIC mk8 8th gen 2006 2007 2008 2009 2010 2011 2012 2013. And what you will receive is only the leather part. Perforated leather with stitching as titled. HONDA CIVIC mk8 8th gen 2006 2007 2008 2009 2010 2011 2012 2013. And what you will receive is only the leather part. Perforated leather with black stitching. HONDA CIVIC mk8 8th gen 2006 2007 2008 2009 2010 2011 2012 2013. And what you will receive is only the leather part. Used OUT OF a 2013 Honda Civic - study picture careful for scratches! I HOPE WE WERE ABLE TO SERVE YOU AND HOPE WE WENT BEYOND YOUR EXPECTATIONS. Also you can pickup if you live close. Samurai sword style gear shift knob, unique and cool car decoration. 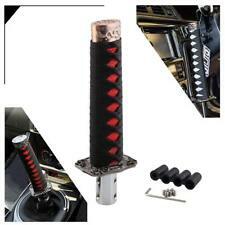 1 Samurai Sword Shift Knob. 4 Adapters (12mm, 10mm, 9.5mm, 8mm). Adapter Material: Alloy. Universal thread adapters to enable wider compatibility with most cars. Perforated leather with red stitching. HONDA CIVIC mk8 8th gen 2006 2007 2008 2009 2010 2011 2012 2013. Perforated leather with grey stitching. HONDA CIVIC mk8 8th gen 2006 2007 2008 2009 2010 2011 2012 2013. And what you will receive is only the leather part. 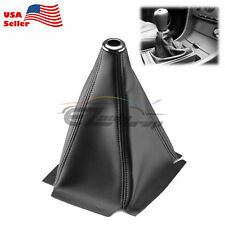 Universal Car Gear Head Dust Cover Vehicle PU Leather Gear Shift Knob Boot. 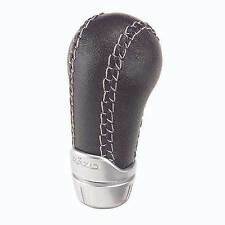 Material: PU Leather Gear Shift Knob Boot Cover. Made of PU leather material, durable for use. High quality shift boot cover. Gear Knob 5 Speed Car Gear Shift Knob Black Transmission Gear Lever Handle Shifter. New Universal Black Manual 5 Speed Car Gear Stick Shift Knob Cool Leather Shifter Lever Fit For BMW Audi Volkswagen Toyota Honda Ford. Universal Car SUV Auto Carbon Fiber Ball Refit Auto Gear Shift Knob Shifter lever. Enhance shifting more smoothly and quickly while shifter is engaging into the gear box. 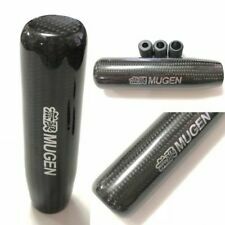 Upgrades the interior of your car with style and functionality with this real carbon fiber shift knob. Used OUT OF a 2012 Honda Civic EX - study picture careful for scratches! Also you can pickup if you live close. YOU WILL RECEIVE EXACTLY WHAT IS ON PICTURES, IF YOU DO NOT SEE IT ON PICTURES THEN IT IS NOT INCLUDED. Universal Shift Knob Adapter Shifters 12x1.25mm for Non Threaded BMW Aluminum. 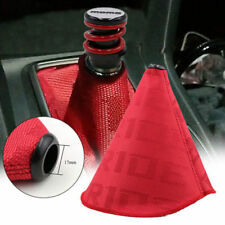 Outer Thread Pitch : M12x1.25 / Fit shift knob with 12x1.25 thread pitch. May also fit other non threaded shifters. Manual Transmission Auto Car M12x1.25 Shift Knob Adapter Shifter Black Aluminum. Perforated leather with white stitching. HONDA CIVIC mk8 8th gen 2006 2007 2008 2009 2010 2011 2012 2013. And what you will receive is only the leather part.